The complexity of human behavior is determined by billions of synapses – the point-to-point contacts of information transfer between neurons. Within synapses are thousands of molecules that can be thought of as tiny nano-machines. These tiny machines are required to regulate the precise and sustained release of neurotransmitters, chemicals which are essential for all brain function. 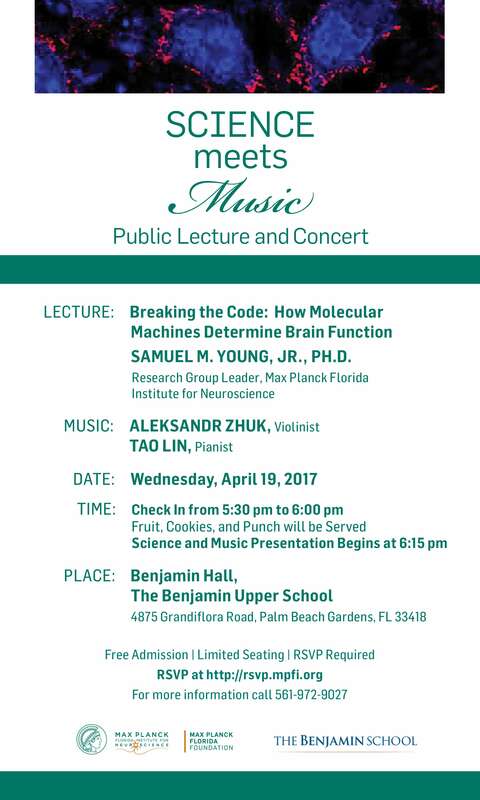 Based on his research using cutting-edge technology, Dr. Young’s lecture will focus on deciphering how these numerous molecules within synapses regulate the initial stages of hearing. As many brain disorders and disabilities are due to the inability of synapses to properly release neurotransmitters, outcomes of Dr. Young’s work will have tremendous potential to identify novel targets for new therapies for neuropsychiatric and neurodegenerative disorders or brain injury.